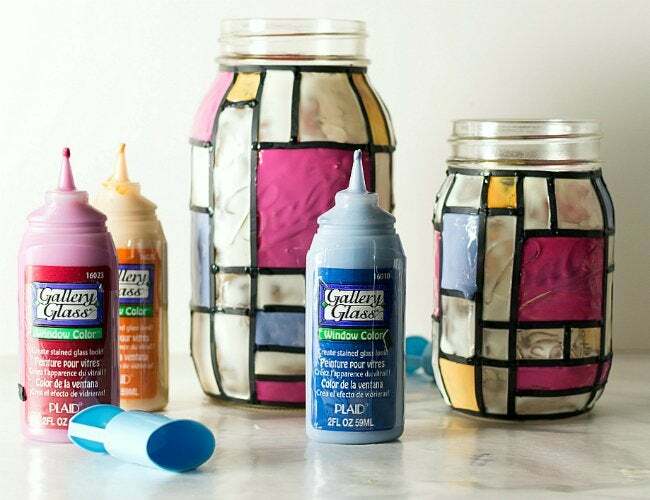 Design and DIY your own stained glass for a charming accent that gives a nod to the intricate detailing of older architecture. Any of these five projects will bring a little timeless beauty to your home over the weekend. 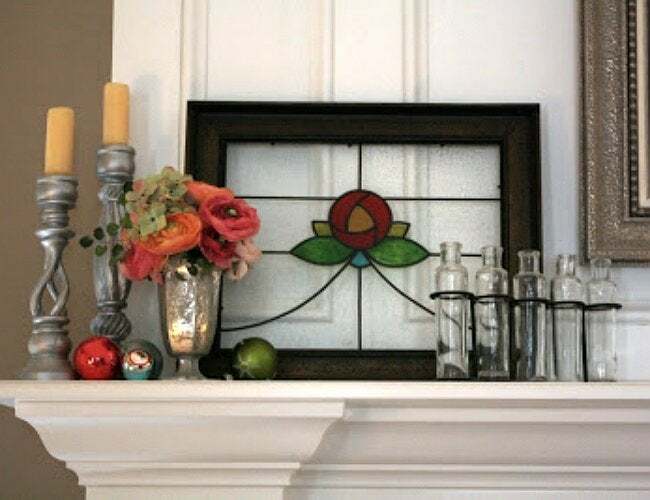 Far from the old-fashioned colored glass familiar to church windows or your great-grandmother’s living room, today’s stained glass crafts for the home blend the charm and character of old architecture with modern-day style—and at a fraction of the cost it would be to buy the real thing. Just think of it as Stained Glass 2.0, and remember that you make the rules. Whatever the project, combine your favorite colors for a fresh and unique creation. You’ll be surprised by what you can accomplish with a steady hand, some glass paint, and an eye-catching pattern. Sure, you’ve seen a million ways to decorate and repurpose a humble mason jar, but leave it to the gurus at Mason Jar Crafts Love to take it to the next level. For the design, think about working in blocks, a lá Tetris, using the standard glass paint and instant lead. Just be careful: The rounded shape of the jar will make the paint more susceptible to run if you’re too liberal. Perfect for a vase or translucent storage of knickknacks, the colors will add visual interest to any table or shelf. Pull together all the patience you can muster when designing this rectangular luminary from Crafts by Amanda. More time consuming than the painting is the drying—24 hours per side, not including the time upfront to lay down the leading. But the finished project is well worth the wait! 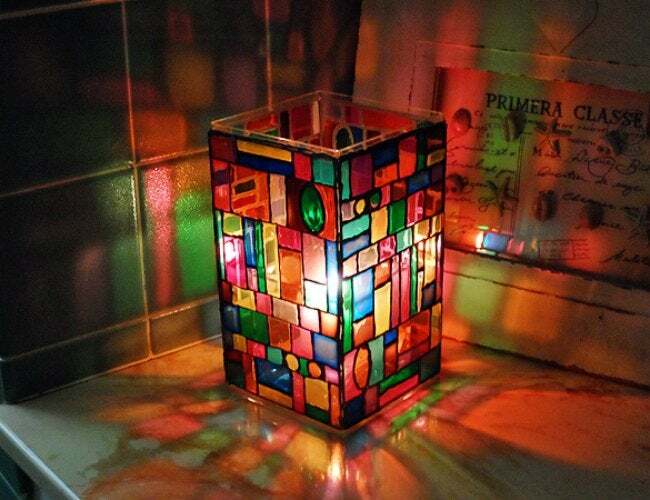 Created from collectible containers for the ’90s Beanie Baby toys, this project just proves that you can dress up many surfaces with stained glass techniques—even plastic storage cases. For a design as close to Tiffany windows as you can get, start with a glass insert the size of a window in need of a little privacy—or one along a wall in need of more color! Apply metal strips in place of the craftier paint-on leading, using a ruler to ensure the straightest lines and angles possible. And don’t skimp on the glass stain; it creates a more realistic texture, say the ladies at A Beautiful Mess. Once it dries, it’s ready to prop up or mount in the window for a stunning view. 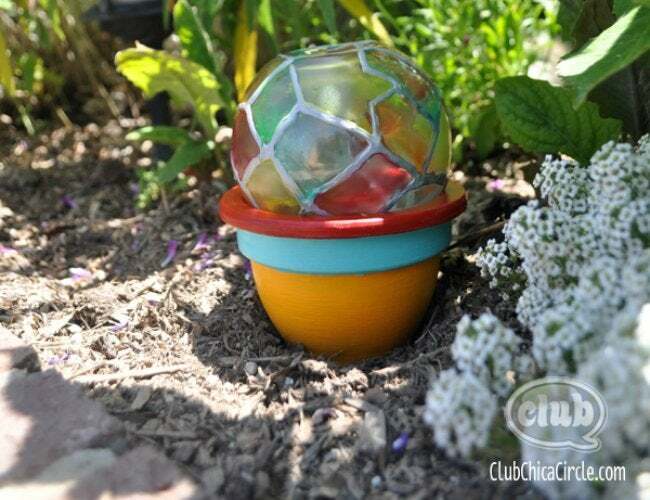 No need to spend big bucks on garden decor when you can craft a glass globe that catches the sunlight, like this one seen on Club Chica Circle. Copy this simply genius structure by flipping a rounded-bottom glass vase upside down and sitting it in the top of a weighted terracotta pot. Then outline your pattern of choice in 3-D opaque enamel paint and fill in with glass paint, keeping Q-tips at the ready to catch any drips. Whether you color the terracotta pot to match or leave it’s natural clay, this garden accent is sure to brighten your front lawn. Add unique architectural details to your home regardless of its style using a basic picture frame and this tutorial from The Pink Peony of Le Jardin. 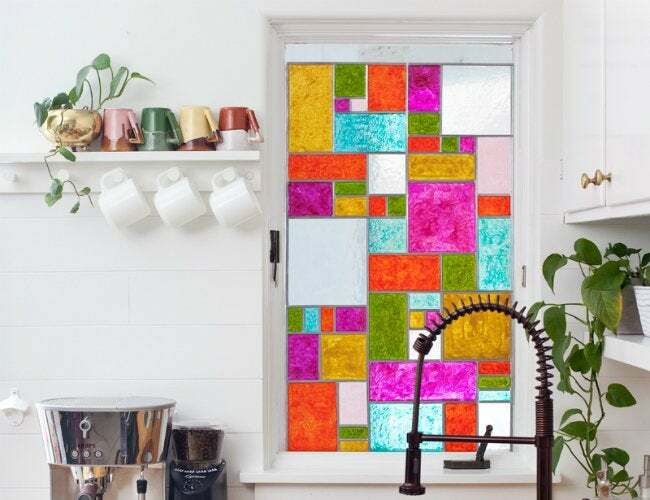 Pick a pattern print-out that mimics a basic window design, then trace the lines through the glass with instant lead stickers and fill in the colors. Finally, a coat of crystal clear paint adds texture and lends a look of authenticity to the DIY—guests will think you’ve picked this one-of-a-kind “vintage” piece up at an estate sale.